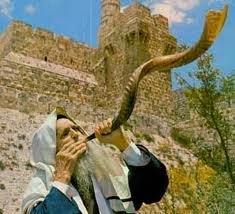 The shofar is integral to the Jewish people’s worship of God. ‘Praise God! Praise God in His sanctuary! Praise Him in His heavens for His acts of power! Praise Him for His mighty acts! Praise Him for His excellent greatness! Praise Him with the sounding of the shofar!' ‘With bugles and sound of the shofar, make a joyful noise before the King, the Lord God’. The coronation of King Solomon was sealed with the shofar. ‘Zadok the priest took the horn of oil out of the Tent and anointed Solomon. They blew the shofar and all the people said, “Long live King Solomon’”. God Himself blows a shofar. ‘God will be seen over them and His arrow will flash like lightning. The Lord will blow the trumpet (shuphr) and will go with whirlwinds of the south’. When Jesus comes for the pure church, He will come for us with a blast of the shofar blown by His attendant, Archangel Michael. ‘Have this in your mind, which was also in Jesus’ mind. Existing in the form of God, He did not consider equality with God a privilege to be grasped, but He emptied Himself taking the form of a servant, made in the likeness of men in human form, He humbled Himself becoming obedient to death, yes even to the death of the cross. Therefore God highly exalted Him and gave to Him the name above every name’ (Philippians 2:5 to 9). ‘Be of the same mind one toward another. Do not set your mind on high things but associate with the humble. 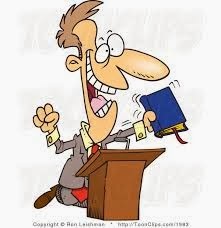 Do not be wise in your own conceits’ (Romans 12:16). ‘Yes, all of you clothe yourselves with humility. Subject yourselves to one another for, "God resists the proud but gives grace to the humble." Humble yourselves under the mighty hand of God so He may exalt you in due time’ (1 Peter 5:5 & 6).